Osram Opto Semiconductors has cooperated with the ISELED Alliance in order to establish an industrial ecosystem to provide solutions for vehicle LED lights. The ISELED alliance was set up in 2016 aiming to make an integrated system of hardware and software of "digital LED" for an innovated LED lighting concept. Digital LED means a controller chip with three colored LED chips (RGB LED chips). The alliance focuses on the interaction and coordination between hardware and software components to achieve the best integration of the LEDs and associated controller. According to ISELED, the solution enables the extension of interior automotive LED lighting system and the simplification of LED controller. The interior design of cars has changed with the development of autonomous driving and the market requirements on the installed LED lights have also increased. The new generation of vehicle interior or ambient lighting uses hundreds of LEDs, usually made up of flexible strips with a lot of RGB LEDs, which in turn have to be controlled separately to create dynamic lighting effects. Through the concept of ISELED, each of the "digital LEDs" is integrated together with a controller in a small package and can be daisy-chained. Totally 4079 of these digital LEDs can be arranged via a differential 2-wire bus with a data rate of 2 Mbps and controlled by an external controller. With a data rate of 2 Mbps and the relevant application software – also available from ISELED partners – eye-catching lighting effects with video speed are available. OSRAM Opto Semiconductors will launch the first prototypes of smart RGB LEDs on the market soon. A major customer advantage of these innovative smart LED components is that the complex calibration for adjusting color location and brightness between the individual LEDs is necessary any more. 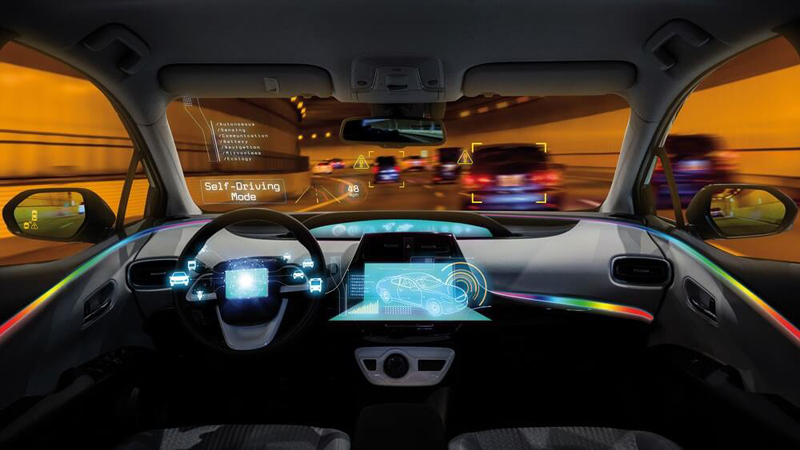 In addition to OSRAM Opto Semiconductors, Inova Semiconductors, Dominant Opto Technologies, Lucie Labs, Melexis, OLSA Group, NXP, TE Connectivity, the University of Pforzheim and Valeo have already joined the alliance group to work on the latest automotive led light.